Denne gang presenterer jeg et konfirmasjons kort. Basis er Bazzill lilla (husker ikke navnet), har brukt bazzill brown sugar bling (tror jeg), mønsterpapir fra Maja Design og Papirdesign. Motivstemplet kommer fra Kreative hender, mens tekst stemplet kommer fra Kreativ Hobby. Har pyntet med hvit blonde og blomster fra Scrapbookengros. This time I made a konfirmation card. 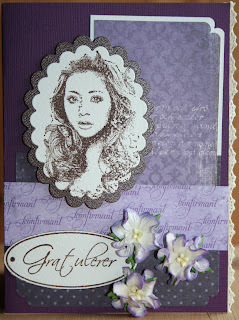 The card is made with purple Bazzill and the paper used is Bazzil bling Brown sugar, Maja Design and Papirdesign. The Stamp of the girl is from Kreative hender and the text is from Kreativ Hobby. 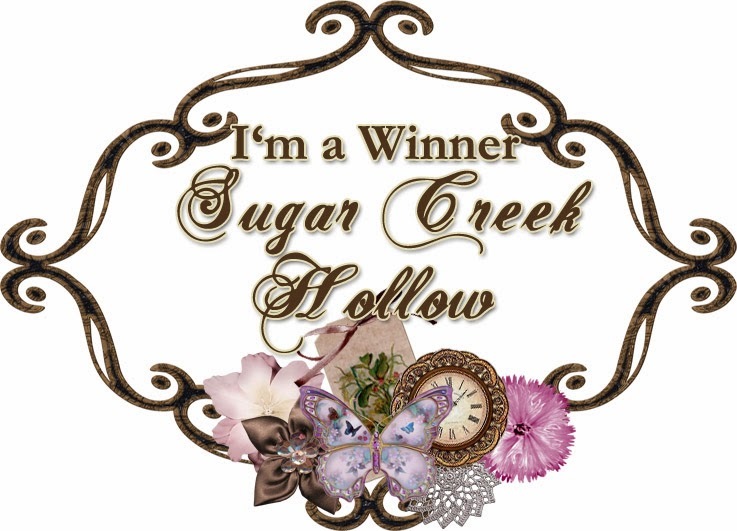 It's decorated with white lace and flowers from Scrapbookengros. Your card is really lovely and a real feel of elegance. 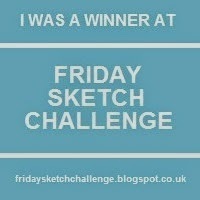 Many thanks for sharing with us at Allsorts challenge this week.